Breakfast at hotel. After breakfast do full day sightseeing of Agra and visit - TAJ MAHAL (closed on Fridays), an extravagant marble monument of love, built by Shah Jahan in 1653 as a memorial to his queen Mumtaz Mahal. One of the Seven Wonders of the World, this beautiful mausoleum in pure white marble took 22 years and 22,000 craftsmen to build. Agra Fort, an original red sandstone fort built by Mughal Emperor Akbar in 1565. The forts maze of courtyards, its marble mosque and lavish private chambers reflect the grandeur of the Mughal Empire, It-mu-dula Tomb and than city tour and shopping etc. Evening transfer to Agra Idgha Railway station to catch Maridhar Express Train no. 14854 at: 2010 hrs. Overnight Train Journey. Arrive Varanasi junction at:0930 hrs. On arrival pick up and transfer to hotel. Check-in and have breakfast at hotel. Afternoon sightseeing of Sarnath Temple + Museum and in the Evening Aarti - An evening ritual (Aarti) performed by the priests on the banks of river Ganga is a highly enchanting and divine experience. Lamps are seen floating on the river, immersed after the ritual. A splendid aura of lights and chants fills the atmosphere in the evenings. Overnight Varanasi Hotel. 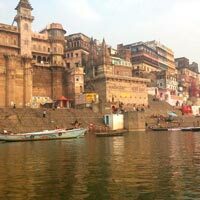 Early morning boat excursion on the holy river Ganges to see the bathing ghats and cremation site (burning dead body’s). 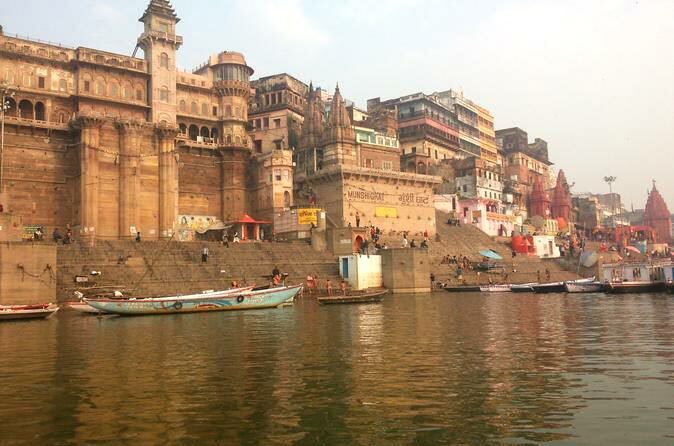 Watching people bathing and worshipping at the ghats is one of the most extraordinary experiences of a visit to India. Morning visit to - the Bharat Mata Temple, Durga temple, Tulsi Manas mandir. Breakfast at hotel. Later do sightseeing of Banaras Hindu University and city tour. Evening in time departure transfer to Varanasi junction to catch Shiv Ganga Express Train no. 12559 at:1915 hrs. Overnight Train journey. Arrive Delhi at: 0740 hrs. On arrival meet and assist at Railway station and transfer to 3* hotel for wash and change and Breakfast at hotel. Sightseeing of Delhi city till departure. In time departure transfer to International Airport to catch flight for onward destination.